Despite the relative 'new-ness' of the blog, 'Very Strange Things' is actually a project that has been active for some time, having been the result of several years of trails, experiments and redrafts. I briefly covered this in the 'Outline' post earlier, but here's a more detailed explanation of how this got started, and what has happened since. The Beginning: As I stated before, this series was originally based on my own writings from college, specifically BTEC Media, as a means of creative amusement between the rather more tech-oriented nature of the studies. The series was birthed very much from my childhood love of adventure and fantasy stories, with some of the biggest influences including: Doctor Who, Tintin, Around the World in 80 Days, Blake and Mortimer, Batman Returns, The Shadow and Doc Savage. I loved the escapism, loveable characters and the high concepts that could be as fantastical as the writer wished: mad machines, lost continents, nature-defying experiments, lost treasure, evil cults, monsters, it was all there and my young mind ate it all up. So, around 2010, as secondary school was ending and my college career was set to begin, I decided to try my hand at serialized writing, much like the pulp authors of old. English was one of my strong suits at school, and my teacher often encouraged me to not let that talent and passion go to waste. So, 'Very Strange Things' was born, albeit under the slightly less distinct title of 'MI4 Adventures', as 3-4 part written stories that were posted weekly on Deviantart. Fundamentally, this was the same thing as the show is now: Dan and Risa, two British secret agents, go out and solve seemingly bizarre mysteries involving some kind of phenomena. The biggest difference though, was the audience: this was not a children's series. It was sort of stuck in an awkward midground, with the odd bit of cussing and even some darker subject matter (like a gangster with a mutated head, and a mad doctor who murders girl to rebuild his dead wife), but I didn't care at the time: it was the thrill of creation. Naturally, having written these a few years back, and having done as many as I did, gave me lots of time to think about how to someday bring it back. Then, the next issue would be how to fit them together into a half hour weekly format for a television series, as well as add an extra layer beyond the simple nature of the one-off adventures, now armed with the skills and foresight of a screenwriter. 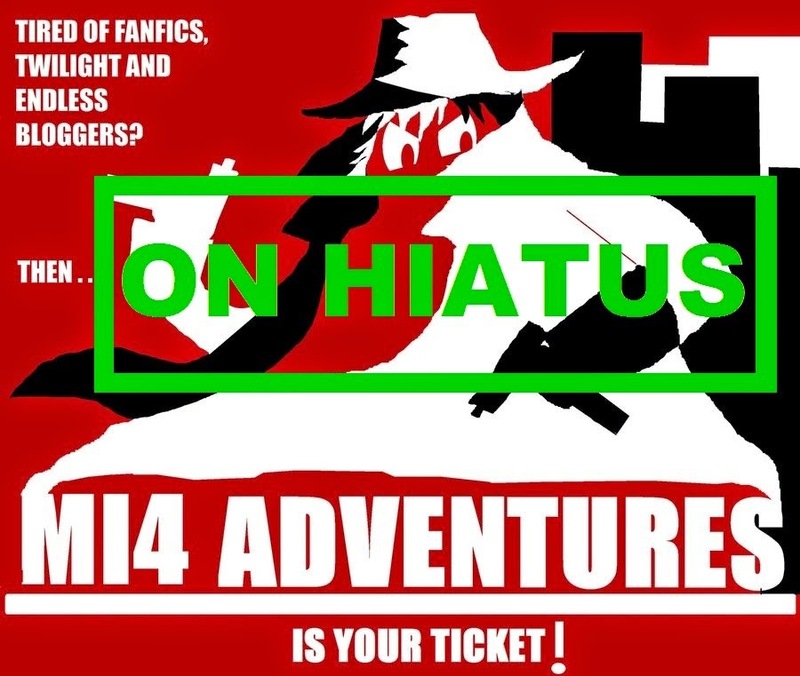 So around spring 2014, I began to redevelop MI4, under that title still, as a pilot for an animated series. I adapted my old first story, The Black Bells, and set to work topping and tailoring it for a half hour tv show. Fast forward to summer, and now redubbed 'The Oddities Bureau', I began shopping the script around, primarily to the BBC Writersroom, who had an opportunity to submit for an children's show. I threw my hat in the ring, and saw what happened: I didn't even make it past the first round. Still, in the meantime I went on holiday to Spain, and armed with a little journal I had received from a good friend, began to make notes and plans for the rest of the series and new episodes. One of them was an idea for a second series' script, The Town of Miracles, which centered on an English town being visited by an 'angel', who brings about odd miracles upon the townsfolk. When I received news of the rejection, I reviewed my old pilot and, dissatisfied personally, I junked it and began developing Miracles instead. And well, that's the whole backstory, dear readers. If you want more details, please visit the links and quench your thirsts. Next time, I'll be showing you what the original pilot was like.